Fall- and spring-calving herd managers don’t often find themselves facing the same decision as those who buy calves for backgrounding, but this is one of those times. Should you implant the calves and if so, what product should be used? Answers will vary, of course. It’s simple if increasing gain is the singular goal. Given adequate nutrition, the return on investment to growth-promoting implants makes it one of the best dollars you can spend. But let’s examine that given: are there adequate dietary resources to support the implant? Data suggests calves need enough nutrition to gain at least a pound per day to make any implant pay. Few operations plan for gains lower than that, but for those who try to hold calves back to change marketing windows, this may be a consideration. 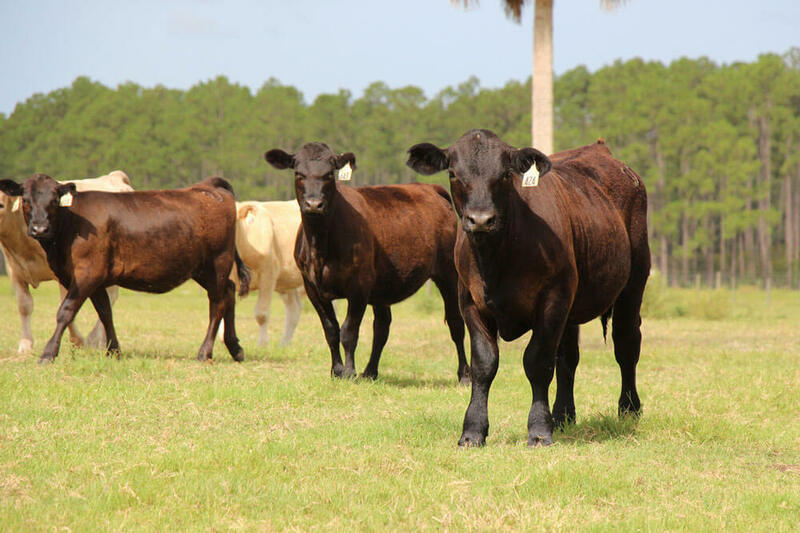 Another reason implants may not make sense is a contradiction with your marketing plans, such as those who sell natural or non-hormone treated calves (NHTC) at a premium. Implanting would limit marketing to conventional outlets, where facts may not support perceptions. I hear of ranchers forgoing the calf performance from implants because they think non-implanted calves bring more in the everyday market, but there’s evidence to the contrary. Calves that are verified Natural or NHTC may indeed receive premiums, but simply assuming buyers pays more for non-implanted calves goes against data from Superior Livestock from 2010 to 2017. Calves were not discounted because of implanting. Bull calves and replacement heifers are other cases for consideration. Bulls should never be implanted unless they are very young and steered at the same time. There’s debate as to the benefits and risk of implanting replacement heifer prospects; a practical option is to implant only late-born females, whether on the cow or at weaning. They benefit most from additional gain and are least likely to be retained. With considerations as to IF behind us, now on to the WHAT. New research from the University of Nebraska bolsters previous work on implant protocol development, where Colton Oney and coworkers evaluated the influence of aggressive implant protocols in feedyard cattle. It may seem like a large jump from a discussion of implants for nursing and weaned calves to feedyard protocols, but it’s really the next step. This work and previous data from Henry Hilscher’s work at Nebraska looked at the effects of using increasingly aggressive implants in longfed calves starting shortly after weaning. Previous data recommends using implants that match nutrition and stage of life, with potency growing progressively as nutrition improves and calves mature. In other words, use the least potent implant while calves are still nursing, and advance hormone levels as those cattle approach finished harvest. Some have argued that genetic improvement and advancing implant technology may present opportunities to use more potent implants earlier for faster gains, sooner. This collection of recent Nebraska work explored that idea in 500- to 600-lb. beef steers and heifers as well as Holsteins. A variety of implant combinations were evaluated as the groups looked at the concept of using terminal implants earlier in the feeding period. It didn’t work. Even with improved genetics, nearly ideal nutritional conditions and improved implant options to administer increased hormone levels early in the feeding period, neither cattle performance nor feed efficiency improved. The only achievement was a depression in quality grades, and that outcome fits very few programs. This work reaffirms previous data where failing to match implant with nutrition and animal maturity results in lower marbling scores. For those who do not own the cattle from weaning through harvest these results also support an idea we can borrow from wider use: it takes a village. People at each step in the supply chain must do their part to ensure management in their segment doesn’t negatively impact those at a later step. While not the researchers’ goal, this data demonstrates a model where aggressive implant programs designed to enhance early performance not only failed to deliver – they cost a later segment by the loss of carcass merit opportunities.